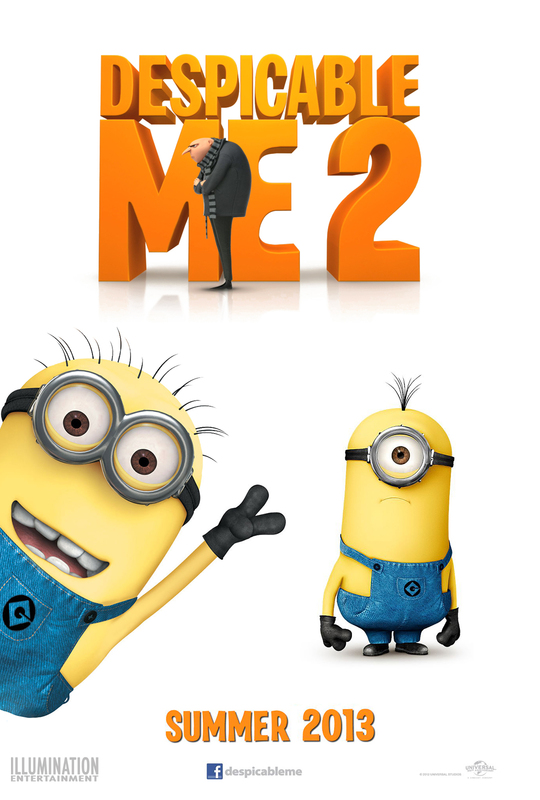 There's a clever parallel in Despicable Me 2. Just as thousands of single dads across the country will be taking their children to the cinema, Gru (Steve Carell) is busy playing dad to the three girls he adopted in the first film. The difference is that Gru is a reformed ex-villain with a dodgy Russian accent. The plot soon sees him recruited by the Anti-Villain League and a return to his spying ways, allowing for plenty of Mission Impossible and Bond style parodies in the gadgetry and music. Just like any dad though, Gru must balance his work with his home life - three girls in need of homework help, tucking in at night and saving from boyfriends. The girls are adamant they will find him an online date, but he quickly meets his match in his spy partner Lucy (Kristen Wiig). Gru is a father who takes catching villains in his stride (aging Mexican wrestler Eduardo (Benjamin Bratt)), but whose arch nemesis is really the telephone as he struggles to pluck up the courage to ask Lucy on a date. Of course, this is a cartoon amongst all the modern family connotations and this sequel sees the return of the scene-stealing minions. Even when spouting jibberish as they lurk in the background, they prove to be consistently hilarious. Most of the laughs arise from slapstick comedy and silliness (as well as a frightening chicken) rather than clever parody and it lacks the heartfelt emotion of Pixar's best. Still, with some very pretty computer visuals, impressive 3D effects and plenty of fart jokes, there is plenty for dads and their kids to enjoy.